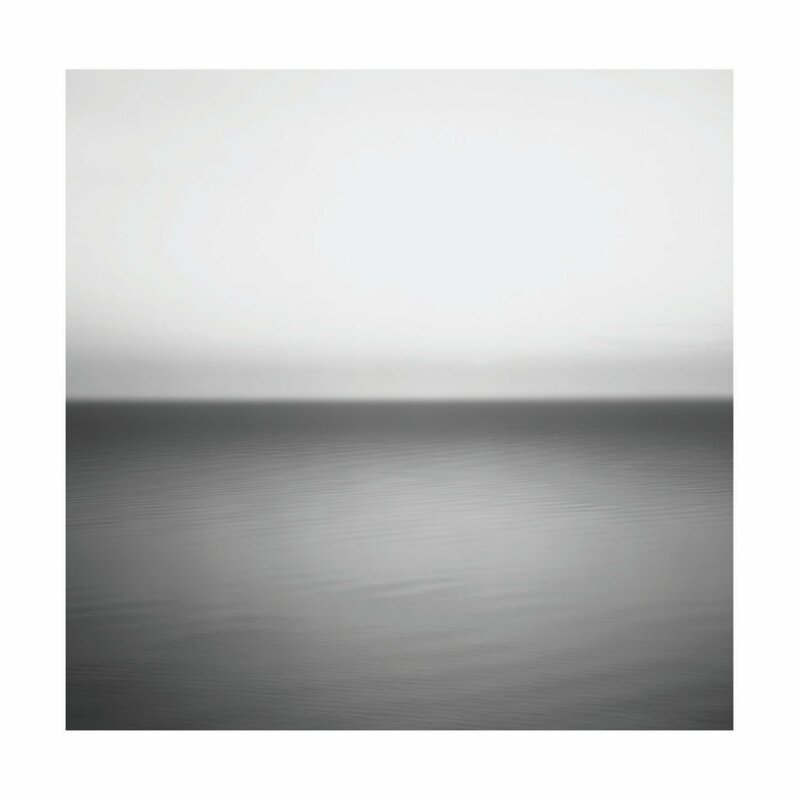 I love the title track of U2’s last CD, No Line on the Horizon. It bears repeating. I love that song. It’s a great start to a great CD, I think, and a couple of things really catch my ear. My favorite CD cover in a long time. 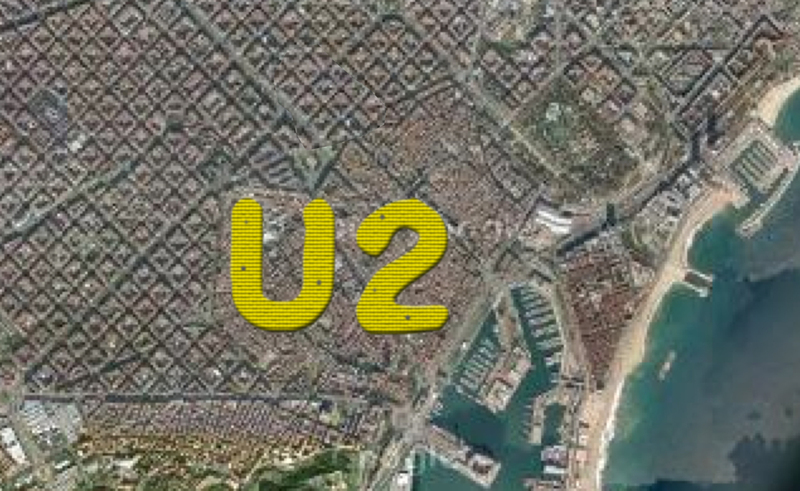 OK, so now lets go to Barcelona, aka U2-Singalong-ville. These people are crazy-nuts for this band. They sing along with so many damn songs during a U2 concert, it’s no surprise U2 kicked off their 2009 tour there: Bono didn’t have to remember any of the lyrics, just mouth along with the crowd. Keep these facts in mind while it plays: “No Line on the Horizon” was only the second song they played that night, not the big finale after an awesome evening of entertainment. No, the band and audience were still in warm-up mode—but you wouldn’t know it from listening to this ravenous crowd. Also, this song wasn’t a single; it’s not as if it were a tried-and-true classic like “Pride (in the Name of Love)” or “One,” but this crowd already knows every word. Lastly: English isn’t their native tongue. I’m telling you, these guys really love U2. The fact that this is an audience recording (as opposed to a clean soundboard recording) is a nice touch. It puts you right in the thick of it. The tidal wave of “Oh!”s that happens at 2:07 made me feel like I was home, like I found my people. 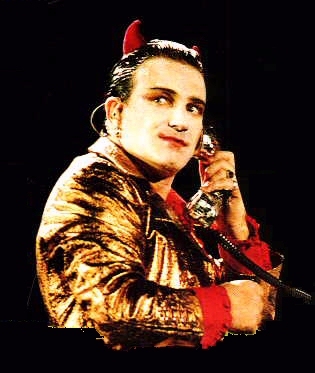 Every May 10, the people of Barcelona unite to send a satellite birthday card to Bono. Gratefully, their first single from this CD (“Get on Your Boots”) included an alternate version of “No Line on the Horizon,” which does have a full first chorus. It’s because of the discrepancy between these two versions that I’ve come to the conclusion that the short first chorus in the final version was edited after the fact (as opposed to while it was being recorded). I could be way off, but it you’re familiar with producers Eno and Lanois’s “tricks,” you would see that this is probably the case. Interestingly, even though in a prior post I cast doubts on their tinkering, I think this is a brilliant move. For prior LPs, some of those outtakes and alternate versions made their way to the bootleg circuit, and when the sound quality is adequate, you get a real glimpse of their creative process. You can hear the rough edges, the beautiful mistakes and crunchiness they tend to vet out of the end result. 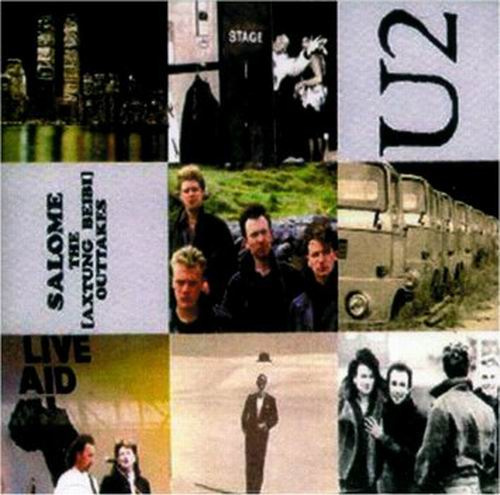 The most legendary of these collections is Salomé (The Axtung Beibi] Outtakes, a 3 CD set that’s floated around since Achtung Baby was released in late ’91. These sessions have been described as “The sound of four men chopping down a Joshua Tree,” and they certainly sound like a band in transition. When listening to the bursts of energy, clipped songs and studio chatter, I think of that passage from Six Degrees of Separation where Flan Kittredge says, “I remembered asking my kids’ second-grade teacher: ‘Why are all your students geniuses? Look at the first grade – blotches of green and black. The third grade – camouflage. But your grade, the second grade, Matisses, every one. “ I’ve always read this as meaning that children at that age have enough control to present themselves, but not enough smarts to edit themselves. Sure, it sounds like a U2 song; in fact, it sounds like three U2 songs (parts of this workout ultimately got folded into the songs “Ultraviolet,” “The Fly,” and the b-side “Lady with the Spinning Head.”) But you can also hear a passionate sloppiness, such as two simultaneous tracks of Bono’s mumbly stream of consciousness ‘lyric writing’ or a moment when he tells the band where he’s going to sing next. It’s basically a shitload of ideas, phrases, garbled melodies and hooks, with a bunch of overdubs and all the faders up—exactly the kind of thing you don’t get on a finished U2 CD.